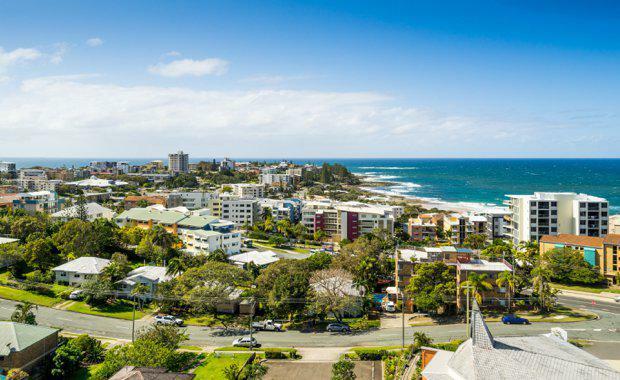 Brisbane-based developer Mosaic Property Group is making the great seachange, extending its reach to the Sunshine Coast with plans for a $20 million beachside project in Kings Beach, Caloundra. Mosaic Managing Director Brook Monahan said the company was also in due diligence to purchase multiple sites across key areas in the Sunshine Coast. “The decision to expand to the Sunshine Coast is the result of years of consideration and research into the region’s economy and property market," he said. “The move is in keeping with our long-term development strategy and we will continue to have a strong presence in our core market of Brisbane’s inner suburbs. Mr Monahan said the decision to move into the region was driven by strong economic and market indicators suggesting the Sunshine Coast’s residential property cycle was entering the growth stage and that its economy was maturing. “The Sunshine Coast’s GRP has doubled in the past decade and there is a long-term economic plan in place to attract major investment,” he said. “There is a transition away from a heavy reliance on tourism and construction which will underpin more stable and sustainable economic and property cycles. “We are seeing major infrastructure projects under way or planned across transport, health, education and city building to the tune of more than $18 billion. “This level of infrastructure development is the catalyst for a significant boost to the population, which according to the ABS is growing at 2.3 per cent annually. The Canberra Terrace project will feature ocean views and is within a short stroll of the heart of Caloundra’s shopping and dining precinct. Mosaic’s building arm, Mosaic Construction, has already started making inroads on the Sunshine Coast after winning House of the Year for a stunning Maleny home at the 2016 Master Builders Sunshine Coast Housing and Construction Awards earlier this month. Mosaic’s expansion to the Sunshine Coasts follows a buoyant 2016 financial year during which the company doubled its Brisbane workbook to more than $120 million. Mosaic, which focuses on boutique apartments and town houses in affluent inner-ring suburbs, has begun rolling out at least five new projects across Brisbane.